understand their needs and help create their vision. Welcome To Down To Earth Landscaping! Thank you for taking the time to find Down to Earth, the Raleigh area’s most complete and quality landscaping team! We know your property is very important to you, which is why we have the area’s hardest working and most trusted landscaping professionals ready to serve you. No matter how big or how small your landscaping or outdoor improvement project is, our expert crew is standing by to help you turn your landscaping dreams into a beautifully crafted work of art. 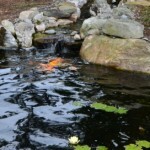 Weekly Landscape maintenance and Annual Lawn Care programs. Sprinkler system installation, service, and repair. Turf renovations – sod installation, aeration and overseeding. Your project begins with an onsite consultation to get a feel for the property and the improvements you have in mind. We can first discuss the project scope over the phone to decide if a quick stop to evaluate and measure is sufficient for estimating, or if we should schedule a consultation – usually about an hour. For smaller 1-2 day projects or for maintenance, cleanups, and seasonal tasks, we can evaluate for landscape estimates with a quick, informal stop. Most projects are going to be more involved, and we’ll need to schedule at least an hour to advise you and put together a more carefully considered solution that best fits your goals and budget. Larger projects with several components will involve design time, as there is much to consider and many decisions to make. Once all the details are worked out, we can accurately estimate the costs and put together a proposal. We’ll be glad to discuss the consultation and design fees over the phone to get a feel for the most appropriate approach. Consultations may be just an hour or two while Designs are a much more comprehensive process. Repairs for irrigation systems (sprinklers), landscape lighting, and water features generally require troubleshooting as a first step. We start by scheduling a service call, and these repairs are invoiced on a time + materials basis. Often the solution is a quick repair that we are equipped to do during the service call and unless the problem is obvious, the most time-consuming part of a repair is in troubleshooting and pinpointing the problem. If we discover a larger, previously hidden problem, we can then put together an estimate for the solution and advise you of the best options. Most problems are below the surface, not obvious to anyone, and it is impossible to offer an accurate estimate to repair problems we haven’t discovered yet. The service call and troubleshooting effort to that point would be invoiced, and we would wait for your approval before proceeding with any proposed repairs. We want to be your trusted friends and partners for all of your landscaping needs, and building long term relationships with all of our valued clients is one of our top priorities. Your yard will continue to change through the years, but we go the extra mile to make sure that your lawn care and landscaping quality will not. 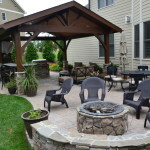 We know you have many choices when it comes to choosing your landscaping care experts — Down To Earth Landscaping is sure that we will be the last landscape design and build company that you will ever need. 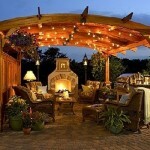 Call or contact us today and find out how you can achieve the outdoor paradise that you’ve always wanted. 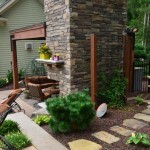 Down To Earth Designs, Inc. would love to speak with your NC home lanscape needs. Call us today! © Copyright 1996-2014 – Down to Earth Designs, Inc. All Rights Reserved.